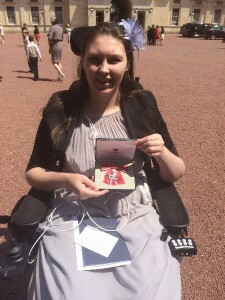 In this blog ICPCN’s first Global Youth Ambassador, Lucy Watts, MBE, describes her work for ICPCN and her wonderful experience on 9 June 2016 at Buckingham Palace on her appointment as a Member of the Most Excellent Order of the British Empire (MBE) for her services to Young People with Disabilities. I’ve been a Global Youth Ambassador for the International Children’s Palliative Care Network since February 2015, so over a year now. 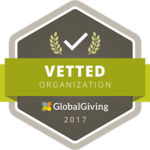 I consider this an enormous privilege, and I do hope I make a contribution to the charity and its work. 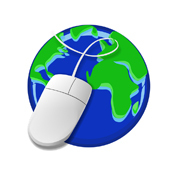 I work with numerous charities, which are UK based, so it’s lovely to work with a charity making an impact globally. It’s especially wonderful to be working with a charity working globally on a topic I am very passionate about: palliative care for children and young people. My life has been transformed by palliative care, and I am very fortunate to live in a country where palliative care is not only available, but available to all, of a very high quality, with access to all the medications needed such as those for pain relief and others which can reduce suffering, and has the funding and staff needed to run the services. It’s not perfect and children’s and young adult’s palliative care is woefully underfunded, but we have it available, all the medications are available, and we can be supported holistically by palliative care services and hospices. Many countries, especially those in the developing world, don’t have access to palliative care or even medications such as Morphine for children. So children are dying in great pain, suffering terribly and have no support for them or their families to help them cope with the condition and to have a good death. This needs to change. There are approximately 20 million children worldwide with a life-threatening, life-shortening or terminal condition who could benefit from palliative care, but many don’t have access to it. We need to get palliative care to all who need it. 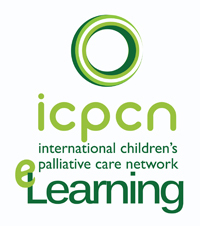 ICPCN does fantastic work doing research, offering training, speaking at events and conferences, advocating for children and young people with life-shortening conditions, supporting people to set up palliative care services in developing countries, and helping to get palliative care to all the children worldwide who need it. 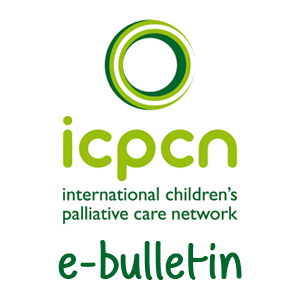 The recent 2nd ICPCN conference in Buenos Aires, Children’s Palliative Care – NOW! was a huge success, and though I couldn’t be there, I was very proud to see my photo on a board talking about children’s palliative care champions. I love my roles within charities and making a difference, and I do hope to be able to continue to work with ICPCN in the future and help to get children globally the palliative care and medications they need to have quality of life, and a peaceful, pain-free death. Since I experience good palliative care, I know the impact it can have on your life, the way it can completely change your life for the better, and the lives of your family members, and I know it will allow me to have a peaceful death, hopefully in a place of my choosing. Every child has the right to a good death, and a good life, and palliative care needs to be available to all children, regardless of age, location, religion or language, and no matter what life-shortening condition they have. 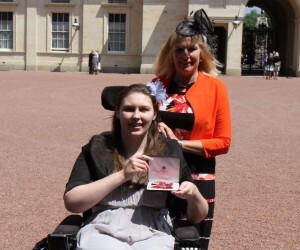 In the Queen’s New Years Honours 2016, I was appointed Member of the Most Excellent Order of the British Empire (MBE) for my services to Young People with Disabilities. Then on Thursday 9th June 2016, I received my MBE in my Investiture at Buckingham Palace, presented to me by His Royal Highness, The Prince of Wales. It is a huge honour to be appointed an MBE, especially given my young age, I’m only 22, and the fact that my period of work hasn’t spanned decades like many others. However, it’s highly unlikely that my life, and my work, will span decades, which makes it even more special to receive the Honour whilst I am at the peak of my work and able to enjoy being a Member of the Order. It is a huge honour to be recognised for my work. 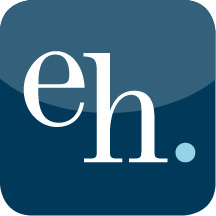 My charity, health and disability work gives me a positive focus away from the pain, suffering and struggles I have as a result of my conditions, and the restrictions the conditions and their complications impose upon my life. To have something to focus on, a purpose in life and an ability to use my experiences – good and bad – constructively to benefit others, is very important and a key component of my coping mechanism. Being able to distract myself with my work, and at the same time, advocate for, represent and support others with chronic and complex conditions and disabilities is a great way to use my energy in a productive and worthwhile manner. 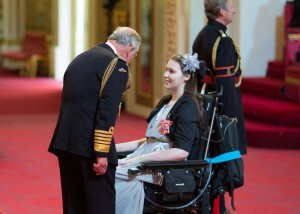 Lucy receives her MBE from HRH Prince Charles. Photo courtesy British Ceremonial Arts Ltd.
one to receive our award. When I went in to receive mine, Prince Charles stepped off his stage so that he could put my MBE on the hook that had been placed on my jacket earlier in the day, and talk to me on my level. He congratulated me on my work and asked a little bit about it. He said that I must make a big impact and help a lot of people, and to be very proud of myself, as well as telling me to keep up the good work. He congratulated me once again, then held out his hand, I shook it, reversed away, bowed my head and drove out of the room. There my MBE was taken off my hook on my jacket, it was put in a box and I went to the back of the Ballroom to join my family to watch the rest of the ceremony. I was so worried about what I would say to His Royal Highness, but I needn’t have worried as the brief conversation flowed effortlessly. He was genuine and very interested in my work and congratulated me more than once. He was so lovely with me, and those few minutes of receiving my award, talking to him and shaking his hand I will never, ever forget. Once the ceremony was over, the national anthem was played, which was extremely moving. It was hearing the national anthem that made the magnitude of what has happened, and what it means, dawn on me. It was an extremely special day, one myself, my mum and Grandma will never forget, nor will my ITU nurse who came with us. It was an experience of a lifetime, and I know I will never forget that feeling of talking to, receiving my award from and shaking the hand of His Royal Highness, The Prince of Wales. It was a truly magical day, and one which we shall cherish the memories of and look back on it fondly. It is wonderful to be recognised for my work in such a big way, and that people think I’m worthy of such a prestigious accolade. Not just my family, but the person who nominated me – I still do not know who it was – as well as the Cabinet Office, who selected me for an MBE out of many thousands of applications, and the Queen who approved the list of nominees, and then for Prince Charles to present it and congratulate me on my work, appreciate what I have done and tell me to keep going. Nothing says you’ve done well and made a difference like being awarded an Honour, in my case an MBE. I hope that I will be able to continue with my work, make an even bigger difference, expand what I do and continue to make life better for others with illnesses and disabilities. I also hope it will raise awareness of my charities, including the work of ICPCN and the plight of those 20 million children and young people globally who require palliative care, but many don’t have access to it nor have access to drugs like Morphine which can relieve their pain and suffering. It needs to change, and I hope to play a part in the catalyst that initiates and enables that change. I hope to play a part in relieving the suffering of children with life-shortening conditions globally, and in getting palliative care to all children who need it.